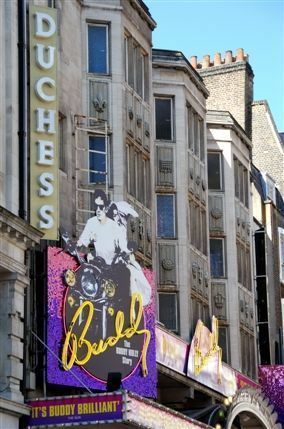 The Duchess Theatre is one of the smallest in The West End, which is not entirely a bad thing. The seating is almost on top of the stage, creating an intense engagement between audience and actors of the kind usually reserved for the fringe. This has made the Duchess a favourite with actors and directors, in spite of cramped backstage conditions. As a result, it has played host to some of the most important plays of the last century. Harold Pinter's The Caretaker (1970) had its West End debut here and Noel Coward's Blithe Spirit (1942) was performed 1997 times, a record at the time. In more recent times its unique intimacy has made it the ideal setting for shows like Joe Penhall's Olivier-Award-winning Blue/Orange (2001), and Harold Pinter's claustrophobic Betrayal (2003).